What kind of present do you get for a 130 year birthday? Well if it is for an organization, specifically ORT, the best gift you can give [aside from a huge donation] is to find out why it has survived, staying true to its mission of transforming people's lives through education for the better and sharing their story with your family and friends. 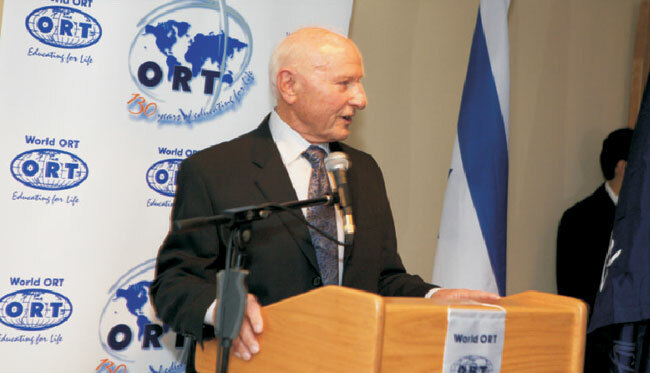 In an exclusive interview with Dr. Jean de Gunzburg, President of World ORT, the past, present and future of this organization was discussed with the passion and dedication one would expect from someone who realizes the importance of his task. 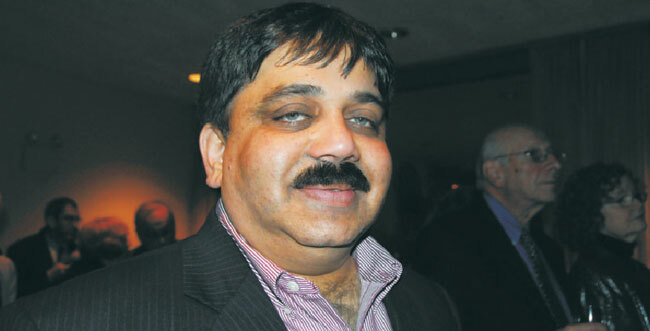 Actually, he joined the "family business" since his great-great uncle, Baron Horace de Gunzburg was the founder. Jean de Gunzburg was a Research Director at the French National Research Centre and at a laboratory devoted to the treatment of cancer, wrote over 70 scientific publications, is a partner in a a start-up bio tech company, Da Volterra and has been ORT president since 2008. The Organization for Educational Resources and Technological Training [ORT] was founded in St. Petersburg in Tsarist Russia in 1880 to provide employable skills for Russia's impoverished Jewish people and today is one of the largest and oldest non-profit, private training organizations in the world. It has operated in over 100 countries and helped over 3 million people since its inception including some 250,000 to 300,000 students around the world this year. ORT's mission is to "work for the advancement of Jewish and other people through training and education; to provide communities wherever they are, with the skills and knowledge necessary to cope with the complexities and uncertainties of their environment; to foster economic self-sufficiency, mobility and a sense of identity through use of state-of-the-art technology". ORT has had a very beneficial impact on Israeli education since 1949 when educators from Eastern Europe started ORT Israel and ran schools on behalf of the Ministry of Education. Since ORT is available to all people it has been very effective in creating a positive dynamic among Israelis, Druze and Arabs that attend their schools. In fact, since the education in ORT schools is so excellent it is sought after by many Arab-Israelis and with their children attending these schools it allows for education to become a way to integrate them into Israeli society. It is not inconceivable that should the peace process attain some real progress, that in the future ORT schools in the West Bank may be viable, under the right conditions, with the consent of the Palestinian Authority and the Government of Israel. Gaza, on the other hand, is a far different story. The three components of ORT projects are general education, Jewish education and science & technology including information technologies and bio tech. Even though it is centered around Jewish communities, a high percentage of non Jews are anxious to attend. In Brazil from 40-50% of the students are not Jewish and in France the ORT school provides the best degree for the optical field. According to de Gunzburg it is international programs like this that fosters a good image of Jews and Israel. In fact, there are Muslim countries with no diplomatic relations with Israel where ORT projects in connection with UNESCO, USAID or corporate sponsors provide a way for negative image towards Jews to be softened when they realize how the lives of their own children can be changed. 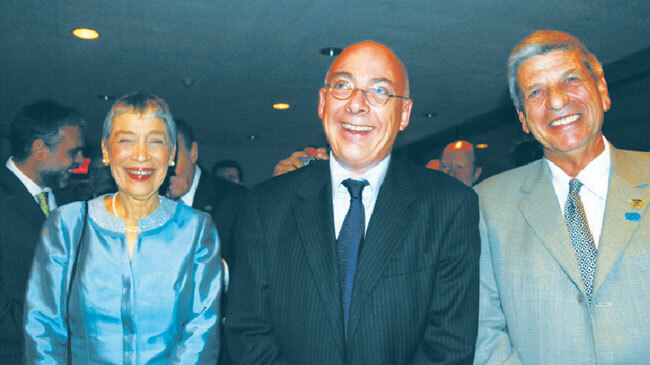 Among the projects that have given de Gunzburg the most "nachas" is one in Israel and one in Buenos Aires and Mexico. In Israel it is the whiteboard technology program. This uses a computer screen on a white board connected to the laptops of all the students. This allows for teaching any subject with the power of the internet and it has put new life into the teaching process and the teachers as well. He said, "Seeing how that had transformed schools in the Galilee, Negev and Sderot is fantastic. It made many of the kids thrive and want to become engineers". In Buenos Aires and Mexico the ORT school teaching communications, radio, TV, broadcast and so on were first class facilities that produced graduates that made up the bulk of the journalists, TV producers and top people in the music and film industries. De Gunzburg was also moved by a reunion in Brussels one year ago with the first class of ORT students after WWII. Now it was 60 years later and all those attending said that ORT had changed their lives. He said, "It gave them the knowledge and self respect that enabled them to go on in life and do something." 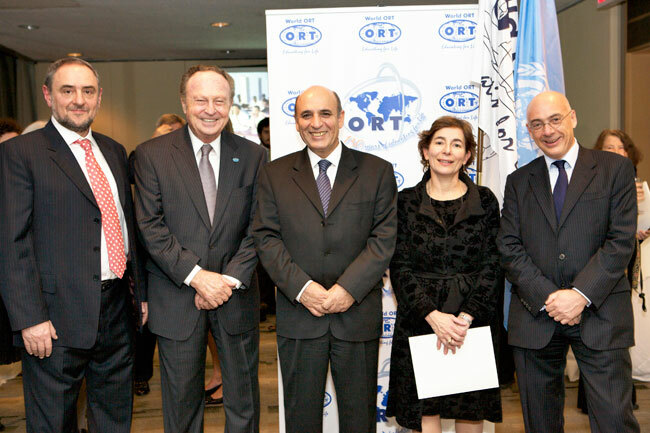 Just before Jean de Gunzburg left for ORT's 130th anniversary celebration at the United Nations to commemorate its many accomplishments contributing to global social change, he summed up his involvement with ORT by saying, "I wouldn't be here if this was not an uplifting story". In order for you to better understand the story of this amazing organization visit their website www.ort.org.